With voice, data, video and security capabilities, Cables To Go's Cat5e 350 MHz Bulk Cable is ideal for your network installation. 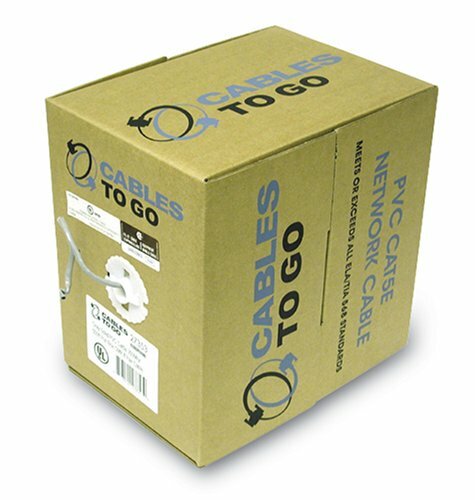 Whether you are wiring your home, office or entire campus, Cables To Go has the solution that's right for you. The Cables To Go 350 MHz cable can be installed just about anywhere. Need standards-based cabling that's easy on your budget? Remember Cables To Go for your next project! With its UL listing and exceeding Cat5e 100 MHz standards, Cables to Go Bulk Cabling has got you covered!